Complete the modern industrial look. These steel ceiling roses are strong enough to hold any of our enamel light shades. They have the option of being used with a cable clamp or chain hook. Also great for any other heavier light shades that require a chain hook. The ceiling roses measure 100mm in diameter and 100mm in height (with chain hook). 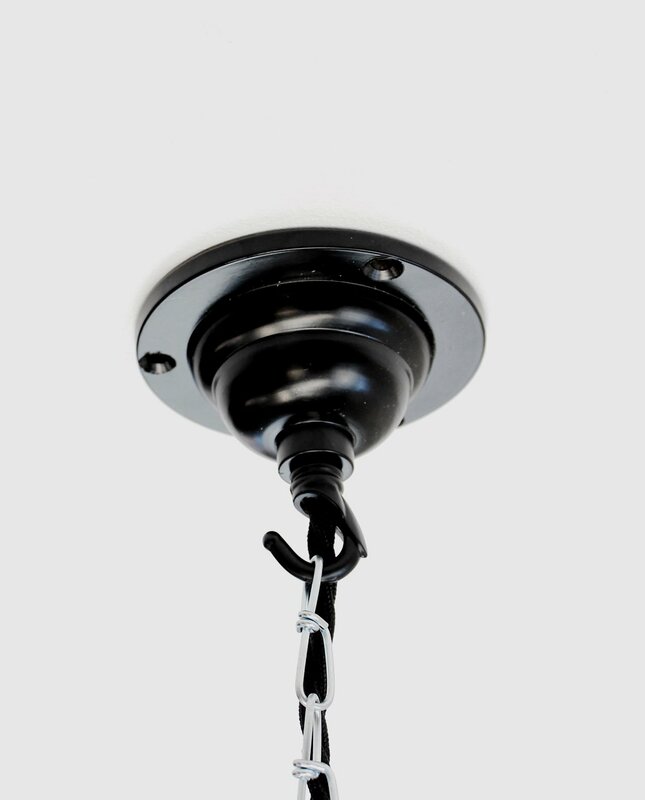 The cable can be threaded through the ceiling rose at the base of the chain hook. If necessary the chain hook can be unscrewed. The chain and cable are not included but can be purchased from loftmotif separately.